Today I am very excited to present a guest post by my dear son Vidur Sury, who loves folktales from around the world. My heart literally warmed over when he offered to write today’s post. (I should add this tip to the eleven easy ways to elevate energy levels = get someone to guest post!). The idea came about when we were discussing topics for April’s A to Z Challenge – and F for Folktales from around the world seemed the most natural thing for Vidur. Vidur Sury, 15 years old, has been blogging since 2008 and writes his own blog at vidursury.com. His interests are varied and he has a passion for math, mythology, science, folktales from around the world, temples, old Indian film music (the 1930’s to 1940’s), cultures and costumes, languages and general knowledge. He is a talented artist and thrills us with his visual thinking. He is in his seventh year of learning Hindustani Classical Vocal music. He also enjoys writing his own stories and illustrating them and hopes to publish a series of books! 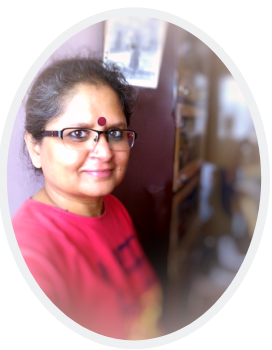 I am very thankful to my dear Mother and avid blogger, who has been my main encouragement and inspiration for blogging, for giving me this wonderful opportunity to write this guest post. It was a very enjoyable experience. Thank you, Mummy! 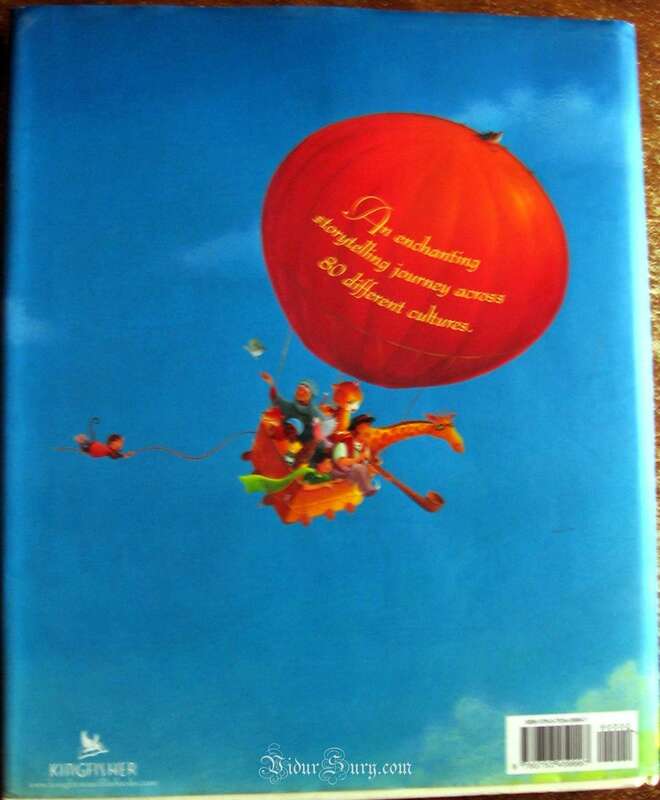 This is my review of the book ‘Around the world in 80 tales’, authored by Saviour Pirotta, which is about folktales around the world. 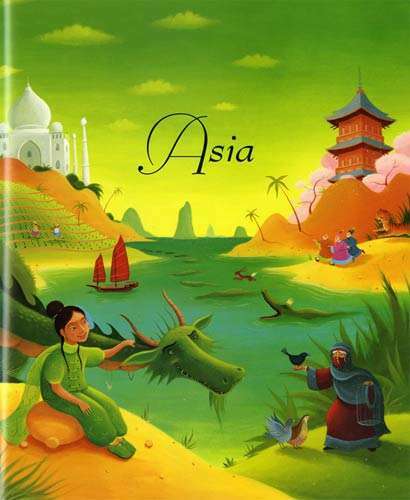 This book is a treasure of traditional folktales from all 6 continents, retold in a simple and coherent style. 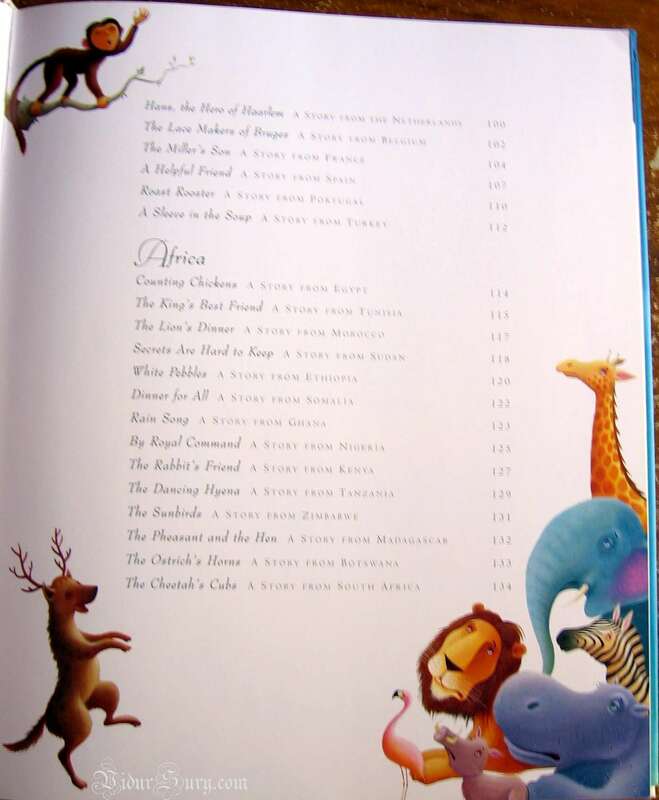 It has a diverse range of stories from 80 different countries, ranging from well known folktale locations like USA, Canada, Brazil, England, Germany, Soviet Union, Ghana, Nigeria, India, China, South Korea, Japan and Australia, to countries from which tales are rare to find, like Cuba, Puerto Rico, Venezuela, Ecuador, Paraguay, Wales, Malta, Portugal, Belgium, Sudan, Zimbabwe, Madagascar, Botswana, Israel, Vietnam, Papua New Guinea and Fiji. Care has been taken to cover a large number of nations and bring in colourful variety. It vividly displays global cultures and narrates both very new and a few familiar stories as well. Some familiar characters of world folklore like Brer Rabbit, Anansi, Cap O’ Rushes, The Selkie Wife, A Real Princess, Three Billy Goats Gruff are also included. This is a wonderful compilation of very interesting and captivating stories. It is equally enjoyable both for children as well as for adults. Stories have been chosen to suit all ages. It is illustrated lavishly and beautifully by Richard Johnson, who has rightfully given importance to regional variety of style of art, costumes, culture, etc. A majority of the stories have pictures. There are pictures pertaining to each continent. In fact, even the corners of the pages are decorated with pictures. This will truly interest children. This book will help readers to be acquainted with international cultures, respect them and contribute towards global harmony and mutual understanding. This book is very dear to me, and I find it absolutely praiseworthy. It is a valuable gift from my parents and grandmother. The variety of stories is both very enjoyable as well as sufficiently laid out. The very colourful illustrations are a true pleasure to behold, very well done, and very encouraging in terms of artwork. 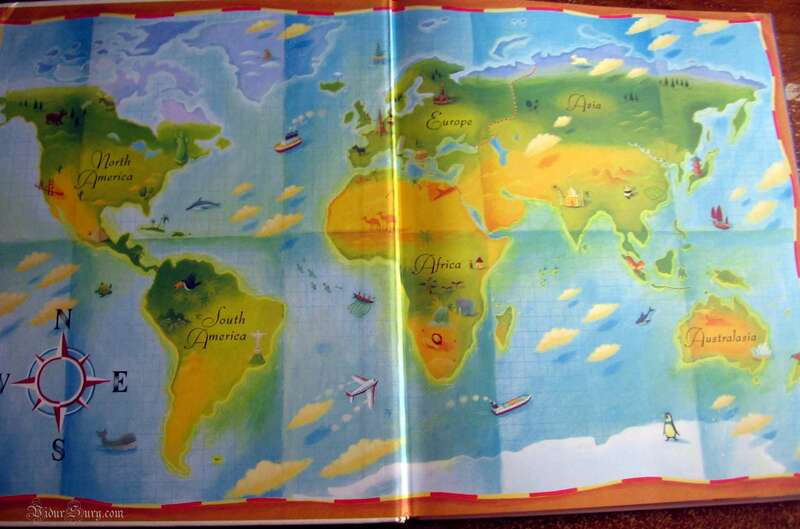 At the beginning and at the end of the book, world maps given with small pictures of unique cultural, biological, historical and geographical diversity are an added attraction. I strongly recommend this book to readers of all ages and especially to folktale lovers like me. This book was superb and cannot be criticised seriously. Any improvements expected would be minor. It would be more interesting if illustrations are given for each and every story instead of majority of the stories. Among stories from North America, there are 3 stories for USA alone, including country, native American and Afro – American stories. Instead, it would be better to include only one of these, and in place of the other two, some Caribbean, West Indies’ or more Central American folk tales could be included as they have not been represented or there is a dearth of stories from these places. All in all, this book is a treasury of world folklore and a key to conserve world heritage. Did you enjoy the review, dear friends? What is your favorite folk tale? Thank you Ma’am, hope you like the book. Vidur Sury recently posted…Liebster Award! Excellent review Vidur. Well done. Have you read the Maori legends from NZ? They are wonderful stories. Vidya, your son writes beautifully just like you do. And thank you so much for featuring my post today. Thanks Ma’am, yes, those are also very interesting and well – known folktales. Lovely Review- my regards to ur son. would love to buy this ! Vidur! I always love your posts. Very well written and I love the artwork! Aldo, I agree with you and am highly offended that they did not include stories from the Caribbean. Wait! I just scrolled back up to check. Anansi is a Caribbean folk story star, no? Or are there other countries that have stories involving Anansi? What a fantastic resource of folk stories this seems to be, Vidur. Love the pictures and the colors too. Thank you for your kind words Aunty, it’s a wonderful book. Wonderful guest post. Your son is an excellent and interesting writer. I wonder if the book has stories from New Zealand. Thanks Ma’am. Yes, it has one about a Kiwi. New Zealand is a famous place for folktales, especially among Pacific countries! Thank you Ma’am, I totally agree with you. Yes, I will definitely write more often. I’m especially loving the colorful illustrations and the creative title. Thanks for appreciating Ma’am. I love those colourful illustrations too, and the title is also ingenious. What an attractive, colourful and well written review. Please congratulate Vidur on my behalf. Vidya, you must be so proud. Thank you so much Ma’am. This is a lovely blog post! Very well written and I’m going to the library today to see if they have a copy. Thank you so much for bringing it to life. Thank you very much Ma’am, there is a partial preview at Amazon. Hope you get the book. what a wonderful post. Vidur, you are very good writer. We love reading folktales. Growing up in the US we mostly read Grimm Fairy Tales. I also loved Greek and Roman myths. So have my children. Now, as a preschool teacher, I have learned so many more. I’m also learning a lot about native American ones as well. Your book looks like one we might enjoy having here. Thank you for appreciating Ma’am. Very nice to know. I’m sure you’ll like this book. 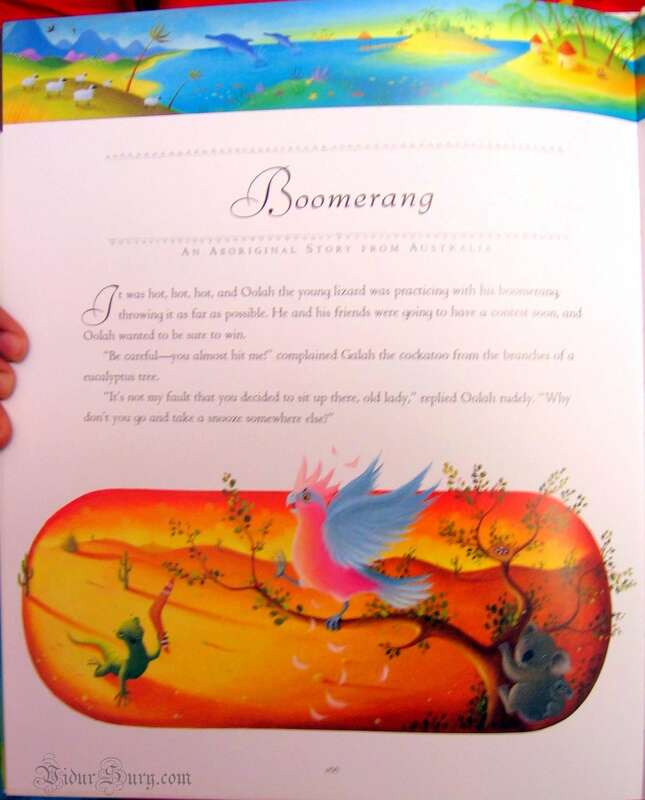 It is a large – sized, hard cover book, full of beautiful and colourful illustrations. It has stories from many, many places! Thanks for your kind comment Ma’am. Yes, it was a wonderful experience. Hope you also enjoy it as much as I did. You have done a wonderful review…glad to know you. Kudos to you young Vidur and good luck with your future posts! Very well written. Thanks for appreciating and wishing Ma’am. You mother tells me you are 15 years old and that you have varied interests – no bad thing, Vidur, as they will broaden the horizons of your mind. 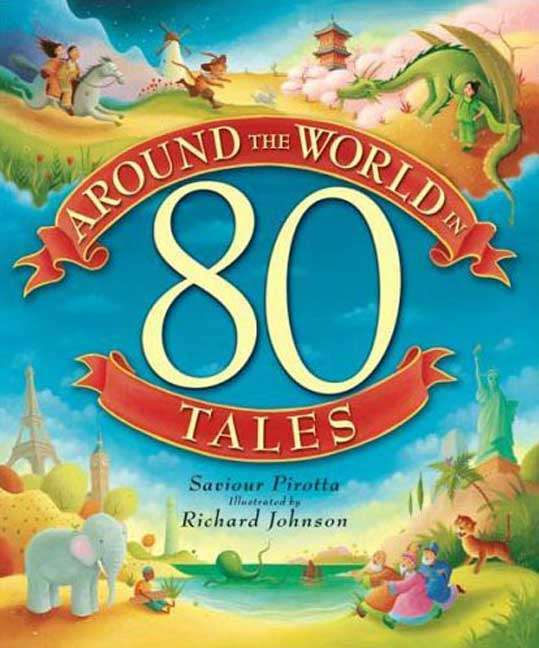 Your comprehensive description of ‘Around the world in 80 Tales’ and your skilful critique of it (which will no doubt make your illustrious mother gush with joy and rightly so) is to be commended. It is obvious you have inherited her eloquence with words – a talent that will serve you well in future. Besides, writing is very therapeutic, so keep at it. Most folk tales invariably include references to animals but it is a sad fact that we live in an uncaring world where several species of animals (and plants) are on the road to oblivion. And most of the reasons for the demise of these magnificent lifeforms are anthropogenic. Yet, ironically, we revel in the multitude and diversity of these animals (not least in our folk tales) while turning a blind eye or worse still, conspiring in the demise of these hapless, fellow inhabitants of our planet. You expressed the wish that this book would contribute towards global harmony and mutual understanding. I hope you are right and understand your sentiments but the massive strides made by humanity (technological and otherwise) are being constantly undermined by the obdurate obsessiveness of people to dwell on their differences (some more superficial than others) rather than what they have in common. Thank you so much for your kind words Sir. Yes, it is truly unfortunate that our wildlife is depleting. I just wish that wildlife conservationists are empowered and abolish exploitation of wildlife. Let us wish for world peace. The pictures of the book are beautiful. I can only imagine what it’s like to actually hold the book. Sonia, it is beautiful. I especially get excited about the large size of the book (hardcover). We have enjoyed many cozy moments reading it! It is indeed wonderful Ma’am. 🙂 Believe it or not, Kaarina, I was wondering the same thing. When we’re busy, the time flies. But now, I am only thinking of next week and you know why! 😀 Hugs! I do indeed know why 🙂 Very exciting! Beautiful illustrations…thanks so much for sharing! This is so cool. Now I need to get this book. I just love being introduced to new and interesting books and the way you present this Vidur is just lovely. You have inherited your Mum’s many talents. Really impressive and I thank you for sharing. Thank you, dearest Elle. We all love the book. Hugs! Thank you Ma’am. Hope you like the book. That is a very balanced review from a young reader. Loved it, Vidur! I loved the way you have gently put in your criticism, which is so positively worded too. A true chip off the old block 🙂 I love folktales for the same reasons that you do and am considering getting this one. Thanks for sharing. 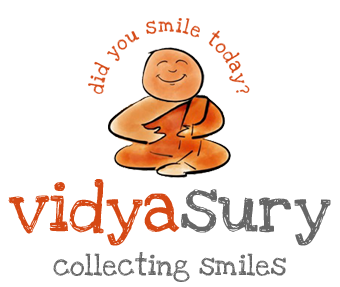 Congrats Vidya, on getting Vidur to do a guest post for your lovely blog! Thank you for your kind appreciation Ma’am. I hope you like the book. You know what’s really cool (at least to me!)? I almost feel like I know you already just from all your Mom says about you here at vidyasury.com. And from what I can gather from this review, she has not exaggerated her claims. I only wish I could have written to eloquently at 15. I hope you keep writing. There is not a better activity you could engage in regularly that will better help clarify your and tighten a person’s thinking and develop an ability to communicate well in this Communication Age. It’s a talent that will serve you well. I am impressed, sir. You have painted a mental image and provided pictures from the book in such a way as to make it almost irresistible. Thanks so much for the introduction of what seems like a wonderful book. Thank you so much Sir. I truly enjoyed writing it, and feel very encouraged by your comment. I enjoy writing in general and hope to publish some books related to my interests. By the way, I have read some posts on your blog (my Mother recommended them to me) and liked them a lot. Thanks for that awesome reply, Vidur. It really means a lot to me that you read (that your Mom recommended) and that you liked the articles you read on my blog. I believe you will have a wonderful writing career (or hobby—or whatever you choose to make of it). You seem to be gifted at such a young age. So keep honing your craft. Read great authors. Get a feel for what they write and how they write about it. As you read deeply and broadly and keep writing, writing, writing, you will develop your own style and find your own voice that will make you unique, rather than just an imitation of others. But too many refuse to learn from the great ones and claim to want to develop their unique voice from the beginning only to discover they never truly learn what makes great writing great. So be sure to do both: read and read and write and write. As you get older and have more experience, you can shift to much more writing than reading. But never stop reading. The more you associate with great minds who know how to deliver their ideas and stories in great ways, the more you will be inspired and motivated and creatively moved to produce whatever it is you end up writing about. Anyway, those are my two cents on the subject of writing. Take them with a grain or two of salt and enjoy the process. You seem to be headed in the right direction. Thank you so much for your highly enlightening reply Sir. I will definitely follow your advice. Thanks a lot for your very kind and inspiring comments. Awesome review. So well organized and written. Kudos to Vidur! Terri Sonoda recently posted…Why fiction? I loved the bold colors of that book. They practically jump off he page. Thank you, Melanie! 🙂 F for Fair is one of my favorite words. Heading over to your place now, to read! Glad you visited! They are really beautiful Ma’am. Wonderful post Vidur! Your mother has taught you well. 🙂 I taught school for many years and would often read fairy tales to my students. There are great lessons in fairly tales if you look below the surface. Children love the mythical character and the enchantments that occurs in each story. Of course many also have the happy ending which children love. As you mentioned fairy tales share various cultures and we can learn how others live from these stories. Keep writing. You are off to a great start! Thanks for appreciating Ma’am. Yes, I agree very much. Fairy tales are usually European folktales, but sometimes from Asia too. Famous fairy tales are mostly from Europe. Great review Vidur, that’s so nicely put. I’m going to buy this book. Meanwhile, I should get some kid to steal it from the kids’ section of my library and read it. Vidur, you should guest-post more often about your book-reviews. They are so good! Nandana recently posted…God! I’m out of topics. Thanks for your kind appreciation Ma’am. Hope you like the book.